Walmart is offering $10 off your online order right now! To get the offer, simply sign into your Walmart online account and enter the promo code GTA2017 to add the eVoucher to your account. Under your Walmart account, scroll down to "Redeem promo code" box and enter GTA2017 and click redeem, during checkout there should be a "my eVouchers" dropdown where you can choose to apply the savings to your order. Please note this offer may be location based. There's a limit of one eVoucher per account and the code applies to all Walmart online orders, including Walmart pickup! This offer is available until February 28, 2017 or while quantities last. 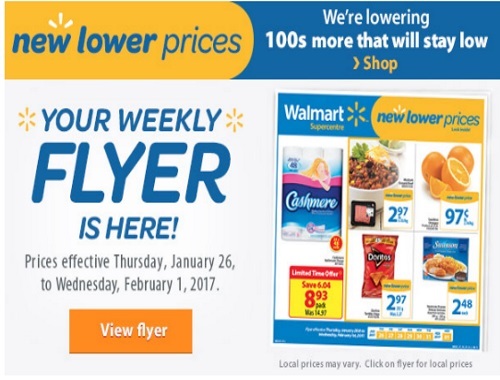 Thank you, I just placed an order with Walmart and saved $10.00 My go to online store! Delivered right to my door.